Last view: 677 days SOmething I Have been working on for a long whilet it won't be finished until late july. Last view: 219 days I made a demonstration hack of Bionic Commando using my level editor. Only the level in the video is changed. Also, I used the TAS Editor in FCEUX 2.2.0 to create the gameplay video. Last view: 993 days Very nice Matrixz! 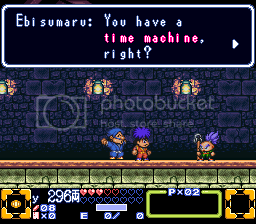 After I lost the Bionic Commando editor I was working on to a HD failure, I was happy to see somebody else pull it off. Now we just need somebody to make a full hack. I posted these on RHDN. I figured I might as well post them here too. Just need to tidy the code up a bit and do a little more testing before I release it. I know a save feature seems pretty pointless when 99.99% of people use an emulator, but I'm also gonna use this on my Metroid hack. I figure it will be a nice touch, especially for those who don't like to use savestates. It'll also come in handy for anyone who plays on a flash cart. Last view: 677 days When your done with it, let me know and I'll test it on my 3ds and make a sample video of it. Sure beats having to deal with passwords. Interesting, does this mean that the Ice and Wave Beams will be usable as a combo(as opposed to one overriding the other)? This is something I've been working on for a couple of hours. 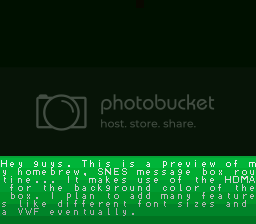 It's a WIP for a homebrew message box programmed mostly from scratch. I eventually plan to make it very customizable. Last view: 92 days An update from my homebrew game in Game Maker. I may be starting a blog for my game, and creating a thread for it in the Gaming forum when the time is right, that way I don't have to post videos in this thread anymore. But it is definitely worth looking at if you like Zelda and/or Resident Evil. This is probably my most ambitious project yet. Fairy Ponds not only restore your health to full, they also act as Save Points. If you have a Green Gem, you can save your game, much like the Ink Ribbons in Resident Evil. If you don't have a Green Gem, you're screwed. The sword animation, while the idea is the same as Infidelity's, I drew all of the sprites myself, and Link no longer has the shield attached to him. The shield is a separate item that you will pick up along the way. The Points act as a different type of currency. Similar to Dino Crisis 2, the more points you get, the more you can upgrade your weapons. For example, you can upgrade your first sword to Level 2, which makes it a bit more stronger. When you get the second and third swords, you can upgrade those as well. The Level System will effect the gameplay as well. The higher your level, the more likely you are to receive an extra heart container, and increase your attack and defense power by a point or two. Rockman Alter Force has been stopped since January - February due to personal activity reasons and I'm now it's back to work. 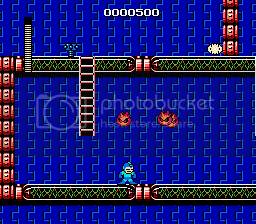 This is Fire Man's stage which will be switched over to Elec Man as the boss. I can easily code the boss pose or AI switch! Levels starts by designing maps before enemies are inserted, the enemy choice will switch the graphic slots. Since no one has attempted to hack M2 even without a offficial level editor I wanted to make a headway and start it off. I am keeping a log of everything I can locate visibly through the tile editor. The hack itself will be a long time before I release a demo of it. Please enjoy, I know I did. Last view: 993 days If you have documentation for the level data format, I can probably get a basic level editor (or anything else that needs editing) going. If you have documentation for the level data format, I can probably get a basic level editor (or anything else that needs editing) going. 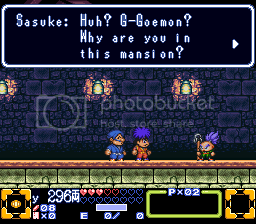 Alright then, about the level data, I'm using visual boy advance and using the map viewer. While exploring part of sr388 I really can't get a good location of where the game is pulling the level data from. I'll sift through it next week and see if I might be able to pinpoint where the game is calling on the level data to load from. Least the gb gui debugging is partly free. I may contact the guy and see if he has a new update and the pricing is right for purchasing. Otherwise I'll stick with visualboyadvance even though its dead. Last view: 872 days Well, there's this, but it's almost 10 years sans updates. Well, there's this, but it's almost 10 years sans updates. Yeah I heard about it and used i recently, it opens up basic tiles and lets you edit something in there. But its not fully featured, if the program was open source to the general public to improve I would be happy to assist in any kind of way. For now I'm gathering the location of all chr data within the rom itself. I mean its remarkable of whats in there if you really dig through it all. Anyway, if someone wants to see if that editor can be worked on and improved with permission I'm game to help out. MySQL - queries: 106, rows: 147/0, time: 0.072 seconds.